← Good News! You cannot be imprisoned in California for owing debts! It’s in the California Constitution! Can I file bankruptcy a second time? Yes, and with stubbornly high inflation, unemployment rates, and the housing crisis you might well need to! If you want to file for bankruptcy a second time you just have to wait the required eight years since the last time you filed. Don’t worry it goes by quickly! Many people find that they get into the same situation as they were in before after eight years have gone by. The country’s unemployment situation does not appear to have improved, the price of everything is going up as inflation worsens, and the nation’s housing crisis continues. (See here for additional reasons for why you should file for bankruptcy). I read an article yesterday that gas prices have increased by over 80% in the last three years. Many food prices have increased by 20% in the same period but the government uses an inflation measure that excludes food and energy prices so their statistics do not reflect real inflation. This seems ridiculous because food and gas are the items that people buy the most. With our astronomical 15 trillion deficit many of us believe that massive inflation is coming for America which will render our currency increasingly worthless. I heard a story the other day about inflation in the Wiemar Republic in Germany in the 1920s. There the cash was so worthless in 1920s Germany that crooks stole only the wheelbarrows that people carried the cash in and dumped the cash in the street. Unemployment is also staying high and is also under counted by the government. We are told that unemployment is declining but we also find out that increasing numbers of people are leaving the job market altogether and are thus not being counted in government statistics. We apparently have the lower number of adults working in America that we have ever had before in our history. (See here for my blog on the unemployment is rising because people are leaving the labor force). As we have known all along many people are giving up on finding a job and are either living off the government or are living on money earned under the table and off the radar. These people usually are surviving on such little money that they should be counted as at least underemployed if not as unemployed. This many unemployed people not being counted makes the unemployment situation look far better than it really is. I hate to say it but it appears that the government has an agenda to advance in these statistics on inflation and unemployment and these government supplied numbers should therefore be questioned or ignored. The housing crisis also seems to have no bottom. Houses are still being foreclosed in in great numbers and thus housing prices are not rising in some areas and still falling in others. Many are facing an iminent foreclosre of their home due to this crisis in real estate and the realtors I talk to say they don’t see any end in sight for this. With the glut of foreclosed homes on the market the prices of homes will not increase again for some time. Many who are unemployed cannot afford to pay their mortgages now. Many people believe that with our massive debt at the federal, state, and local levels we are headed for financial collapse. I don’t know if a massive collapse is coming but it’s clear that massive inflation and continued high unemployment are a distinct possibility. Collapse has happened before in history with the Wiemar Republic and with other societies that failed to get their debts in order. If we are headed for these increasingly difficult economic times then it would certainly be easier to enter them without a tremendous debt load. Bankruptcy can accomplish that. If massive inflation comes will help pay down the government’s debt but it will devastate individuals and families financially as it dramatically increases the prices we pay for everything. If unemployment remains high too then many people will continue to have medical, credit card, auto repossesssion, and other personal debts they pay. 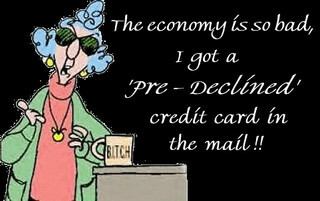 Many will continue to borrow on their credit cards as they have in the past out of necessity and not irresponsibility. If any of this sounds familiar then you might want to consider filing bankruptcy. Don’t be like the government and put you head in the sand. Deal with your debt in a responsible, legal, and ethical way which is what you get with a bankruptcy discharge. You can also significantly slow down or stop your home being sold at foreclosure with a bankruptcy. All of this debt, unemployment, and foreclosure will lead many individuals and couples right back into a situation where they cannot pay their debts. Once they stop paying these creditors the phone will start ringing again 24 hour a day from collection agents who ceaselessly try to collect these debts. The result of this will be more people will need second time bankruptcies. So don’t despair if you have accumulated debt in the last number of years because you can file bankrupty again. If you filed in 2005 like millions did to avoid the bankruptcy law changes then you will be able to file next year in 2013. You only have to wait eight years. If you filed in October of 2005 like many did the you should look to file again around October of 2013. Remember that millions of individuals are in the same position as you are so don’t despair. Just call a good bankruptcy lawyer now and he will help you survive financially until the eight years has elapsed. There are many strategies for managing these debts in the mean time including paying them something to get them off your back. A good lawyer will help you manage you finances until the date arrives that you can file for bankruptcy again. For an update on filing bankruptcy a second time see here. I am a San Diego bankruptcy attorney. For further information please visit my website at www.freshstartsandiego.com or www.farquharlaw.com. Or call my office for a free consultation at (619) 702-5015. Call now for a free credit report and analysis! The economy is so bad photo courtesy of Mark Holloway. 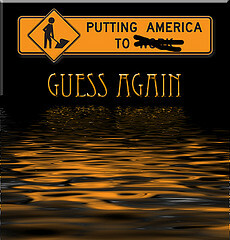 Guess again photo courtesy of Damian Gadal. Unemployment photo courtesy of Sean MacEntee. One Response to Can I file bankruptcy a second time? Yes, and with stubbornly high inflation, unemployment rates, and the housing crisis you might well need to!